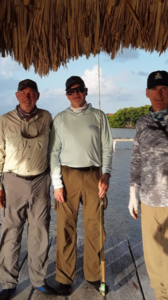 Ron Ward and I went with Bill Shank to Belize and had a great time catching bone fish. 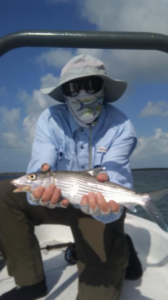 These fish are strong and peel line off of the reels when hooked. The lodge where we stayed served very good food and the rooms were nice. 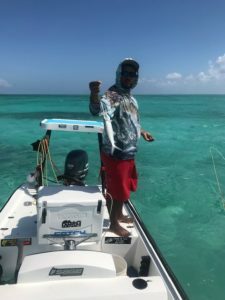 Our wives went on this trip and while they didn’t fish my wife went on snorkeling trips 3 different days. We took a day off fishing and toured Myan Ruins and saw monkeys and crocodiles etc.